DARE YOU TOUCH MY MONEY!! Today State Bank of India, the largest nationalised banking and financial services company in India, wants to bail out Kingfisher airlines. Why the hell are you transferring my resources then? Let Manmohan Singh, the economist and the teacher, open his mouth today and explain to us how this bailout will affect the common man or the economy for that matter. I have many questions, would appreciate if any of my readers can help me with these. I understand the man is troubled, but is it more because of lack of sleep owing to the planning and scheming that he has been indulging in over these six years? 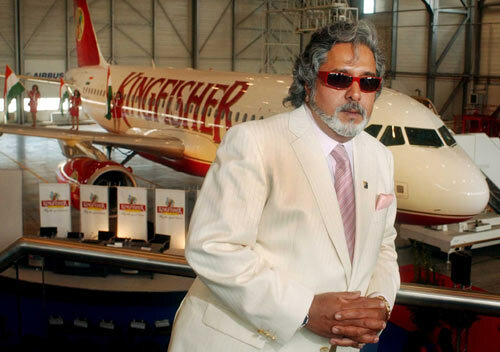 News says that the income-tax department screwed the happiness of the ‘king of good times’ Mallya. In the airlines business, if you cannot pay your pilots and other staff members, you do not have money for fuel and cannot fly, what on earth are you doing? The SBI has an exposure to the extent of Rs 1,458 crore to Kingfisher Airlines. It is declaring all of it as non-performing assets? And further, looking at bailing out the sinking airship to the tune of Rs 1,200 crore? Of this, nearly Rs 700 crore will be as working capital? SBI, the banker to every Indian, has taken money from every India for this aviation scam? Before that, I am given to understand that SBI had purchased Kingfisher’s shares at a premium. Does SBI have a money plant to invest? Whose money has it been using for this? Mr Omar Abdullah says kindly help Kingfisher with finances else, Jammu and Kashmir Bank will sink. The state government has 51% stake in the bank. And why did none of these banks sound alert say a few months back? What were they hiding? Someone for sure is making money from these scams – Satyam, telecom and now this apparent aviation scam. Was the merger of Indian airlines and Air India politically motivated? Yes of course, but was Mallya behind it? Was he looking for monopoly? Now after bailing Kingfisher out, will the government say that since it has put in money, Kingfisher will be our official carrier? Is Mallya simply trying to recover his investment? How come Indigo is slowly and steadily making profits in the same environment as the other airlines are also functioning? Why on earth were the Indian Airlines’ tickets priced more than every other airline always? Why are you not selling off whatever little assets he has? Attach his UB group to this for heaven’s sake!! Simply consolidate! Attach his personal assets! Auction his cars, watches, real estate and whatever he owns. Just, don’t you dare touch my money! Why should I allow the banks to bail him out using my money? He will come out of this and leave me and my middle class-society with inflation, higher interest rates, higher airline prices, another scam, frustration, irritation and what not. And he would still be living in the massive Mallya house and would still own the UB city! Found two entries on the Internet. Not sure if these are skewed views like my bent views! Care to read these and help me with the same? cant agree more with you! Arey, but what is the solution? I think I need more clarity. One after the other, people are simply using the people of this country! We need to have a solution to this!